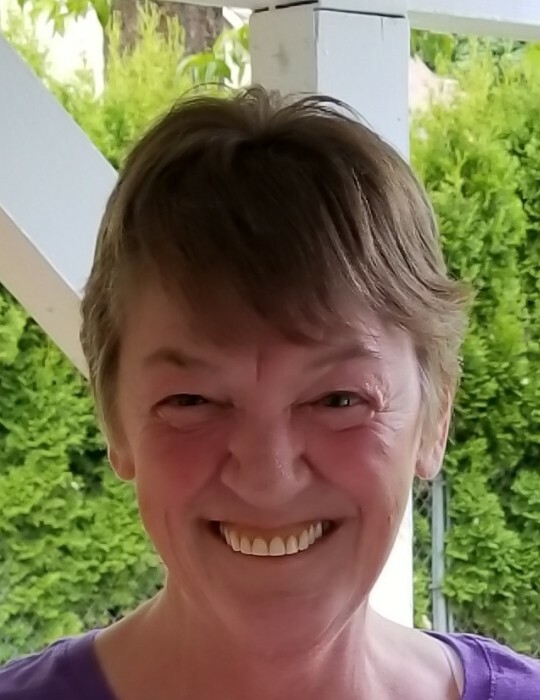 On Saturday, March 26, 2019, Donna Szmyd, wife, mother, daughter and sister, passed away at the age of 61 years. Donna will be forever remembered by her best friend/husband Steve, and by her children, Gene Baker (Phoenix, Arizona), Nathan Szmyd and Christine Szmyd, by her Mother, Barbara Wohlmacher and her brothers Ralph Baker, Billy Joe Baker, Steve Baker and her sister Sandy (Angel) Cachezun. Donna will also be forever remembered by her Mother-in Law, Edith Szmyd, numerous nieces, nephews and extended family and dear friends. A Funeral Service, officiated by Derick Dickerson (Journey Christian Church) will be held on Tuesday, March 26, at 3:00 p.m., at Blanchard Family Funeral Home, 611 Noble Street, Fairbanks, Alaska. Note: An outdoor gathering for Donna will happen this coming summer (TBD). Donna was employed as a Caregiver for numerous years with Caring Bridges Assisted Living and in the end, Donna became a patient. Steve and his family want to thank Caring Bridges for all your generosity during this time. "Thank You!"